NQ Neighbours: A Guide to Manchester's Northern Quarter - Digitl. Back in October last year we embarked on a new venture and made the decision to relocate to Manchester’s Northern Quarter. Now 6 months into the big move, we feel like we can quite confidently say that we *love* the NQ. Due to its history as a rag trade and wholesale area, the Northern Quarter is an essential facet of Mancunian identity. In the last 10 years the area has had somewhat of a ‘rags to riches’ transformation. Nowadays it is a unique hub of independent shops, bars, restaurants and apartments. In recent weeks Northern Quarter has also been transformed into New York and used as a filming location for Jared Leto’s latest movie, Morbius. With that in mind we thought we’d share the love and put together a little guide of our favourite places in Northern Quarter! In order to appreciate NQ to the fullest extent we thought we’d present a brief insight into its background. At a size of approximately 0.3 square kilometres, NQ has seen over 2 and a half centuries of change. The area between Shudehill and Victoria Station was initially built up in the 14th Century, and gradually expanded until the 18th century. By 1816 Manchester was named as the world capital of the textile industry. This continued until the First World War, with the cotton trade reaching its peak in 1912. Following the war, the high cost of cotton lead to a slow decline of the industry, and from this the mills began to close. A few decades later, much of Manchester was destroyed by German bombs during World War II. Efforts were focused on rebuilding the city centre, and Northern Quarter was sidelined. However, in 1993 Manchester City Council commissioned a regeneration study of the area, which officiated both the Northern Quarters name and boundaries. The report also declared that the area should focus on promoting creative activities, which explains the current juxtaposition between gentrification and regeneration. First and foremost, let’s talk about BAB. These guys are our neighbours so we may be a little biased, but as a team we unanimously agree that these are the best kebabs in Manchester. Forget about the greasy kebabs you get from a dingy takeaway after a night out, these guys sell gourmet kebabs made using locally sourced ingredients. The restaurant itself features an open theatre style kitchen, so you can watch the chefs prepare your food right in front of your eyes! BAB also offer a selection of meze and salads, with both vegan and vegetarian options available. If you’re in the market for vegan junk food (and let’s face it, who isn’t? ), V Rev is the answer! Their menu is complete with a range of burgers, fries, hot dogs, mac ‘n’ cheese and sweet treats. So there’s something for everyone, whether you’re a meat eater or not! What’s more, everything is very reasonably priced between £6 and £11 for a large dish. V Rev’s interior decor is also very funky and super Instagrammable, which is always a bonus! Soup Kitchen is an award-winning canteen, bar and music venue. It’s enjoyed by a whole host of people, including Johnny Marr of The Smiths. According to our Founder Darren, they serve the best french onion soup ever! The long wooden tables give the bar area a communal feel, and the array of knick-knacks mean you’re never short of something to look at. If I had to sum up Crazy Pedro’s in 2 words it would be ‘pizza party’. 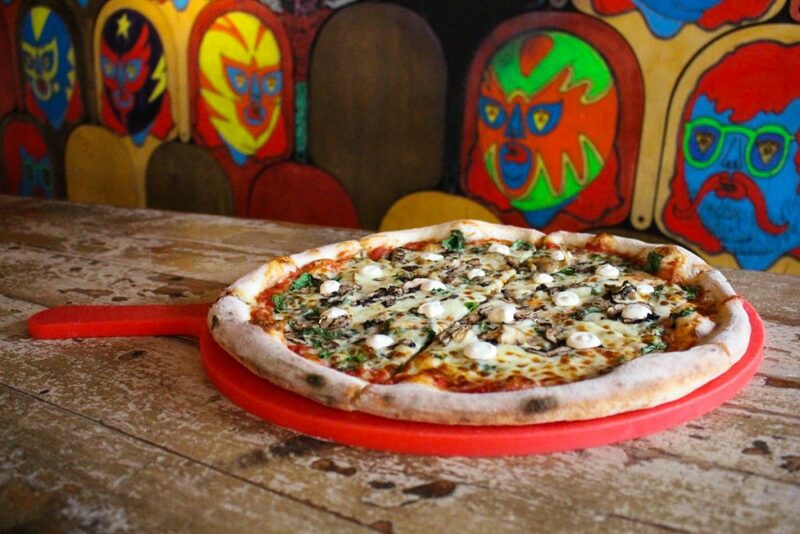 Unlike other pizza parlours, Crazy Pedro’s open at 4pm and close in the early hours of the morning. But that’s not all, their selection of pizza’s are also a little unusual. For instance, their ‘Chippy Tea’ consists of sausages, chips, mushy peas and curry sauce on a pizza! Sounds weird but somehow, it works! As well as pizza they also serve an array of house cocktails and craft beers, so it’s pretty much a one-stop-shop. One things for sure, this ain’t no dominoes! If you’ve got a sweet tooth, Home Sweet Home is a must. They describe themselves as a milk bar and kitchen in Manchester’s Northern Quarter serving up breakfast, lunch and dinner seven days a week. Their famed primarily for their home made selection of cakes, pancakes and milkshakes, which are heavenly. Worth every calorie! Blue Rinse is an affordable vintage shop just a stone’s throw away from Piccadilly Gardens. Having been in the business for over 20 years, Blue Rinse have locations dotted across the North of England. Their NQ store is an aladdin’s cave of vintage treasures – from one off reworked pieces to big name brands like Nike and Fila. If that isn’t enough, the Blue Rinse guys also regularly host a kilo sale next door at Sachas Hotel, where you can grab 1kg of clothes for £15! A trip to Northern Quarter isn’t complete without a rummage through Afflecks Palace. Afflecks is an emporium of eclecticism and a totem of the Manchester indie community, spanning across four floors. The indoor flea market is filled with unique, independent traders selling everything from crystals to fancy dress costumes and vinyls. It’s no surprise that they are listed as the number one shopping destination in Manchester, there’s something for everyone! The superstore has been open since 1982, so it holds a lot of fond memories for people. Believe it or not, Fred Aldous is Manchester’s second oldest retailer. It was first opened in 1886 whilst the textile industry was flourishing, and continues to serve as an arts and crafts shop. 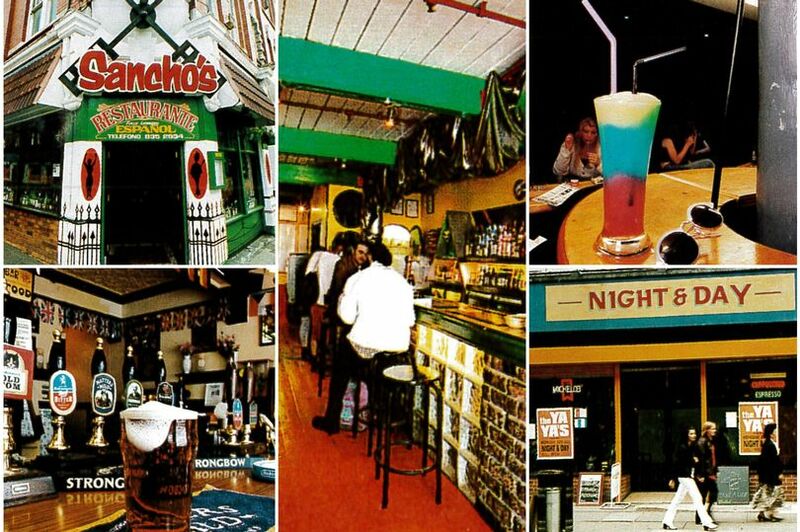 Its Stevenson Square location means it’s right at the heart of the NQ. 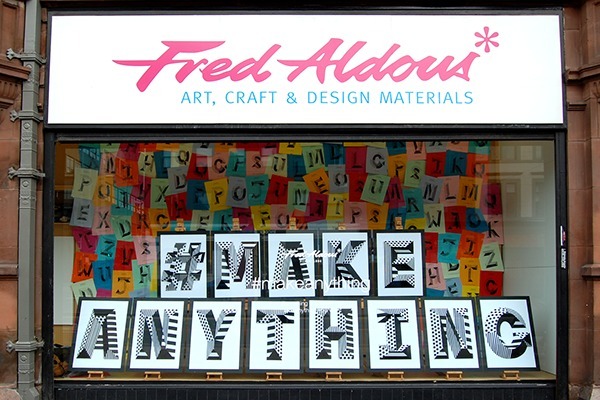 Whatever you’re trying to create, Fred Aldous can provide the materials to help! Inside there’s a variety of art supplies, house plants, gimmicky toys and knick knacks. They even have a retro style photo booth so you can take home a keepsake to stick on your fridge! Established in 1997, Oklahoma specialises in quirky gifts and homeware. Their vibrant store is stocked with unusual eclectic products, primarily from independent designers. The physical space itself is a testament to Oklahoma’s funky nature – with exposed beams, mismatched furniture and decorations dangling from the ceiling. Spread out over 2000 sq. ft, the shop is filled with things you really don’t need but you’ll convince yourself that you do. Night and Day is a cafe bar just opposite Afflecks Palace. Originally the venue served as a chip shop, before developing a reputation for live music and pioneering upcoming indie bands. It is a pivotal component of the Manchester music scene, and has been enjoyed by the likes of Elbow, Johnny Marr, Arctic Monkeys and Kasabian. For a music venue, Night and Day is pretty small which makes all of their live performances very intimate. You can really feel the energy bouncing off the walls, which is what helps to make it so popular. The Castle Hotel is a Grade II listed building dating from 1776. Like many other Manchester venues, The Castle has a musical history and prides itself on being a welcoming, supportive space and a creative hub for artistic communities. The Victorian interior gives The Castle a different feel to other bars in the Northern Quarter, however. They offer a wide array of ales, ciders and bottles – kegs of which you can see from the main bar. All in all, it offers everything you’d expect from a public house. A newbie to the Northern Quarter independent bar and live music scene is Jimmy’s. Opened in 2016, Jimmy’s is co-owned by brothers George and Jimmy Craig. Both come from a musical background, with George being the frontman of pop band One Night Only and Jimmy serving as a drummer in the punk band Counterfeit. The boys’ musical influences can be seen throughout the venue – the bathroom walls are lined with mugshots of musical legends like Bowie and Jagger, and displayed on the wall you’ll find the neon sign used for The 1975’s Mercury award nominated second album cover. Behind the bar you’ll find a range of beers (including their own Lager produced by London brewery Portobello), a selection of classic cocktails and high-quality yet affordable wines. Foundation Coffee House is by far the largest cafe in NQ, and is conveniently located just next to Fred Aldous. It was first opened in 2015 and sits on the ground floor of Sevendale House, a grade II listed building that was initially built and used as a textiles warehouse. Nowadays, however, the industrial and airy interior of Foundation Coffee House is a nice tribute to the buildings past. If you manage to catch Manchester on a good day they even have a few tables outside! Offering an impressive range of coffees and free wifi, it’s no surprise that Foundation is loved by freelancers, students and working professionals. Foundation is more than just a speciality coffee shop, in the evenings they run events such as movie nights and yoga classes, which present a good way to unwind and relax after work. If you combine locally-sourced coffee, contemporary crafts and a large selection of loose leaf teas you get Fig and Sparrow. Inside the wooden floorboards and whitewashed walls give the cafe a contemporary, urban feel. In an interview a few years ago the owners Jan and Emily Dixon described how the landlord had the choice between them, two independent photographers going into business for the first time and American Apparel but he chose them! There is a real consciousness about how NQ should evolve, so the two had a vision of creating an institution that wasn’t just a shop but part of the wider community. All in all, Fig and Sparrows celebration of local talent really pays off! That’s a wrap! Have we missed anywhere, where’s your favourite place in Northern Quarter? Leave a comment we’d love to know.